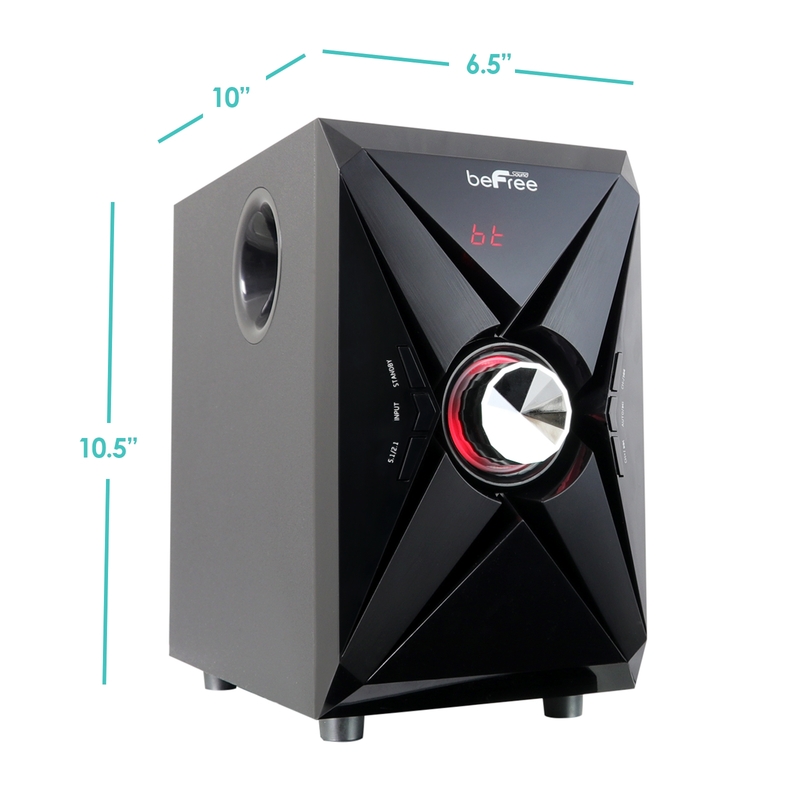 Surround yourself with louder 5.1 positional audio for your movies, games and music with the beFree Sound Bluetooth speaker system featuring a creative design that improves sonic imaging for stunning audio quality that enhances bass response and loudness, giving more edge details that improves the frequency distribution of the whole system. 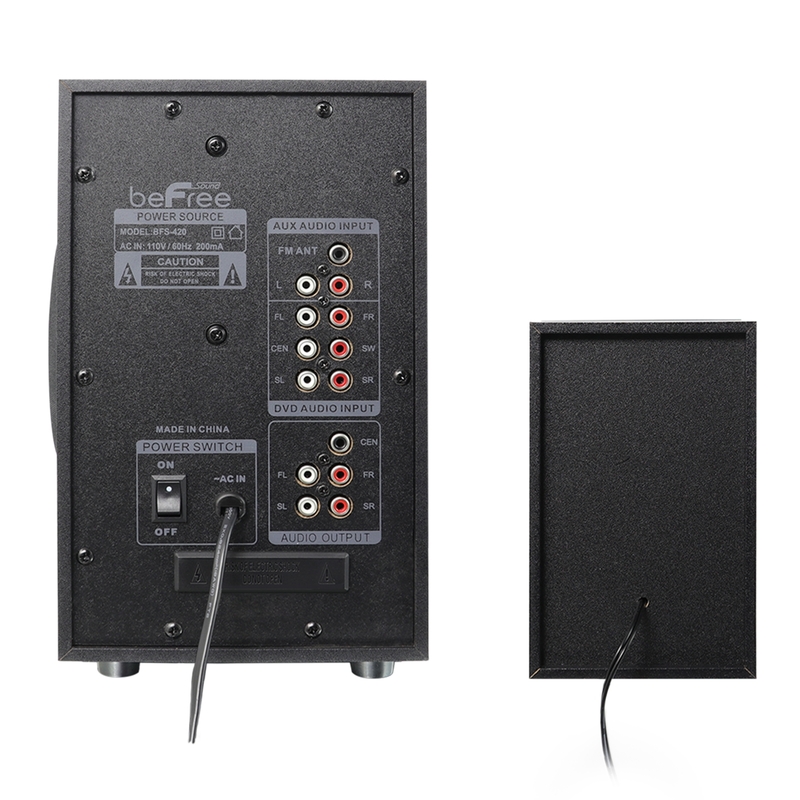 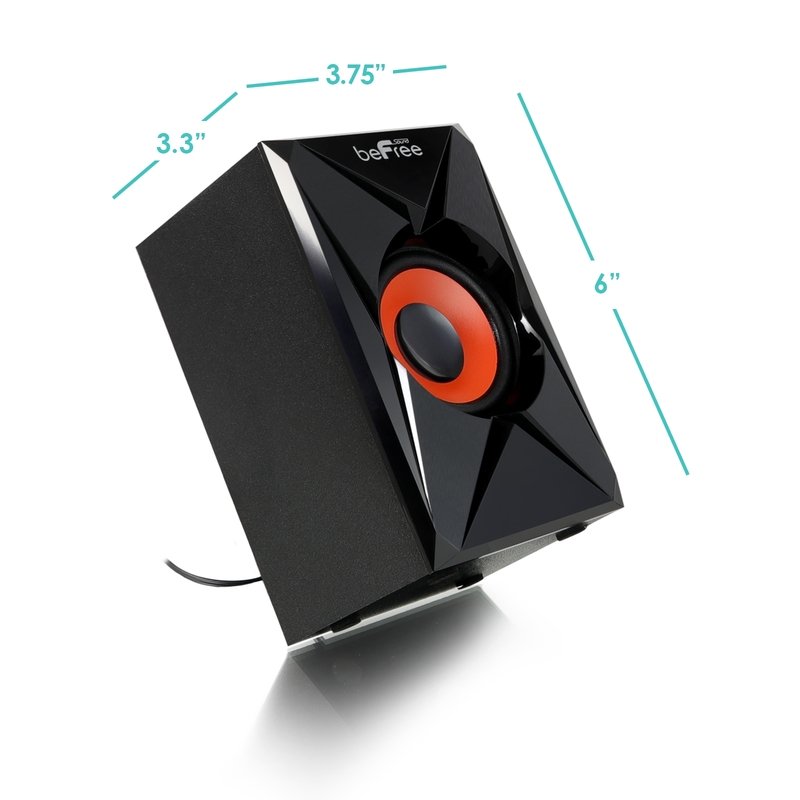 The speaker system is coupled with an impressive, down firing ported sub-woofer that adds that all crucial, additional punch into your content that is sure to impress. 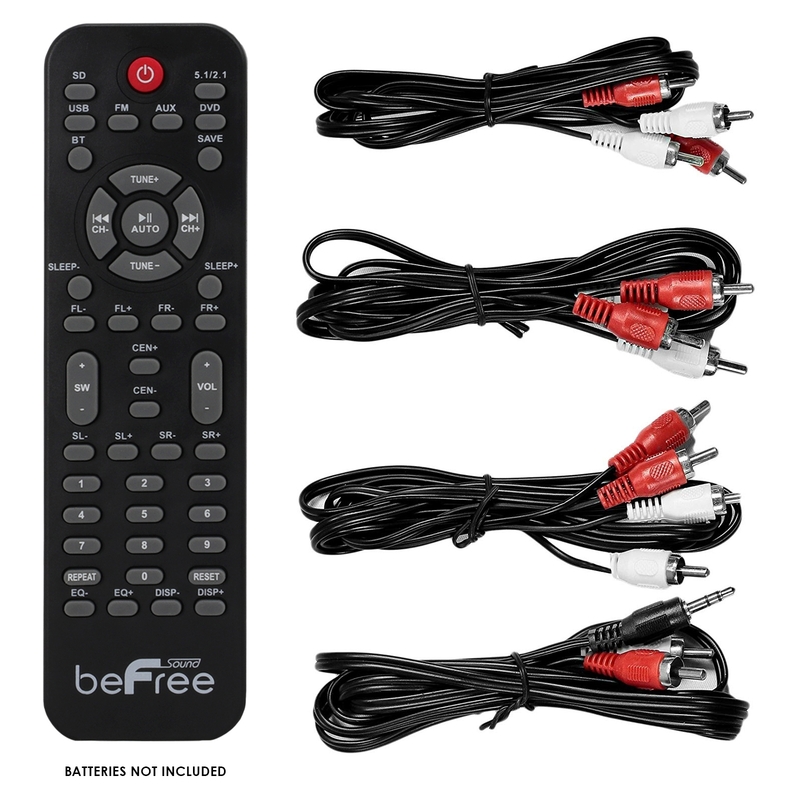 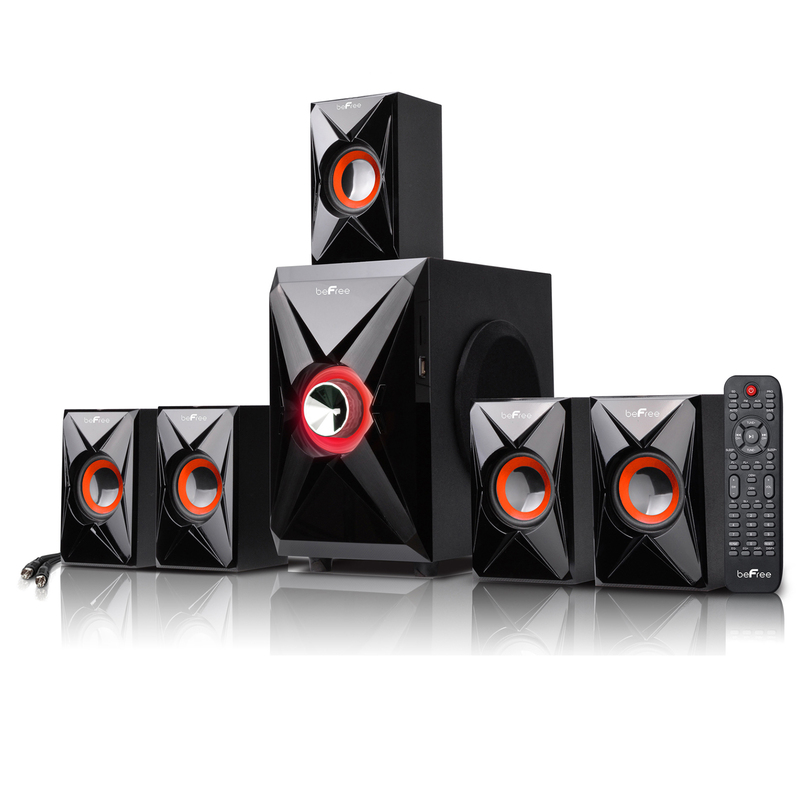 The Bluetooth system accepts any BT enabled devices. 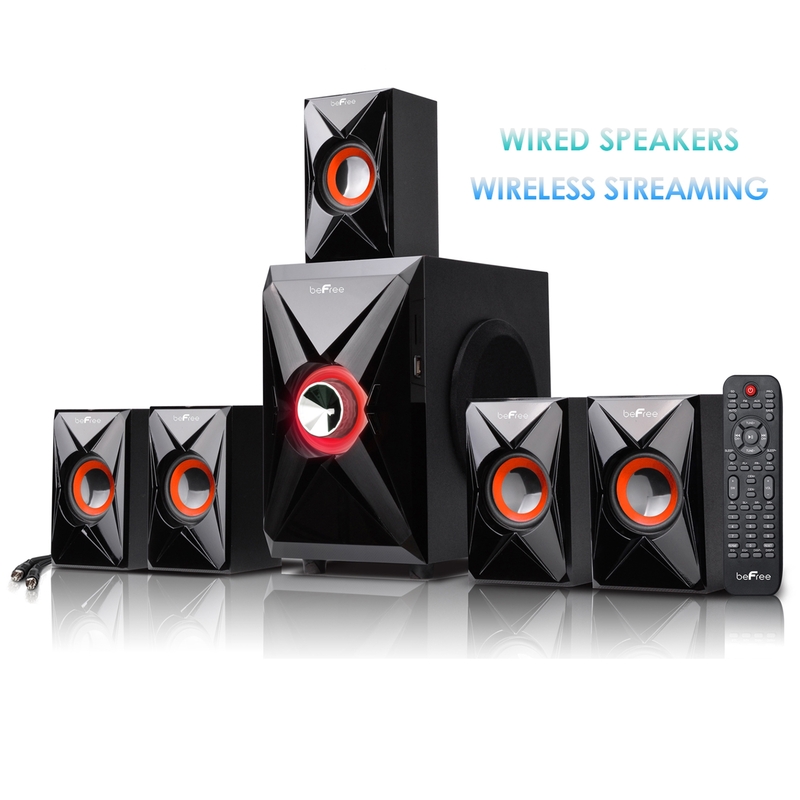 Comes complete and ready to use with 5 Satellite Speakers, Sub woofer, and remote control.